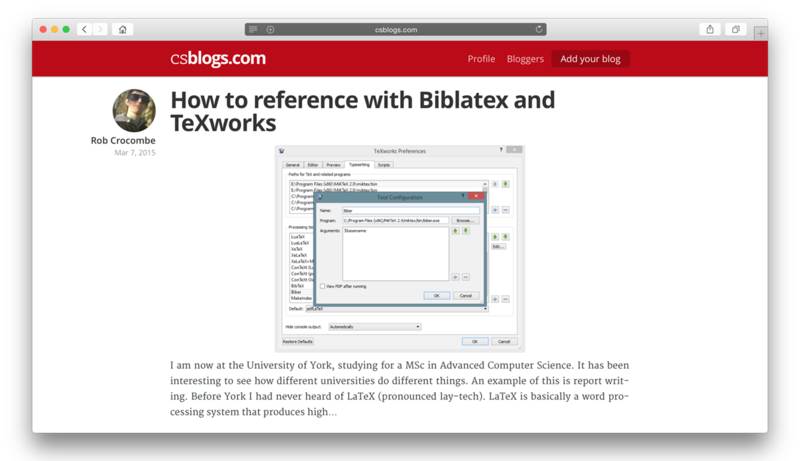 A few years ago my friends set up a blog aggregation website to combine the computer science blogs from our university. Blogging was heavily encouraged by one of our lecturers Rob Miles, and I suppose it is why I am writing this today. Blogging is a great way to present your ideas and build a portfolio of work to show. There were a lot of blogs from our CS department and the site was a great way to keep up. The person maintaining Hull Comp Sci Blogs is no longer running the site, and instead Danny Brown took on the project, starting completely fresh. The project is entirely open source, available on GitHub, and hosted on Microsoft Azure. We are also using a documentation service from startup company readme.io. We are hoping to include the features of the old website, but expanded for other Computer Science students and enthusiasts. As well as bringing together a feed of blogs, we want to add group lists and profile pages too. 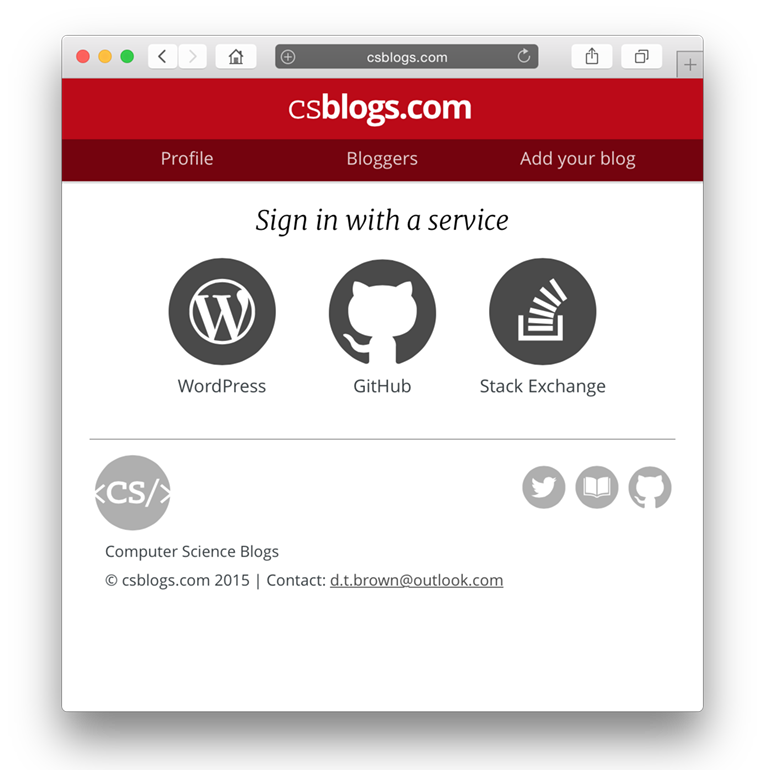 If you want to take a look, or contribute, or add your blog (once that feature has been added), check out csblogs.com.